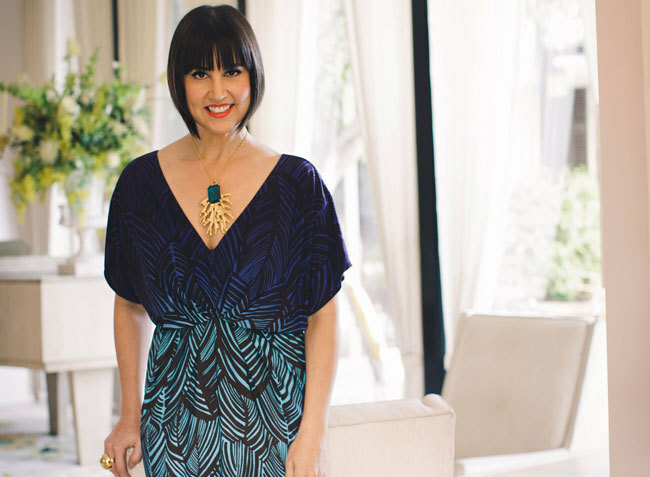 A genuine California local, Trina Turk is informed as much by her upbringing as a collector’s appreciation for the modernist artistry and craftsmanship born in the Golden State. She has championed the effortless élan and sunny optimism of the native mindset through world-wise women’s ready-to-wear and accessories, a menswear line called Mr Turk, and residential décor and textiles since launching the brand with her photographer husband, Jonathan Skow, in 1995. Trina draws from their lives split between two Mid-Century marvels they restored in Los Angeles’ creative enclave of Silver Lake and in Palm Springs, as well as travels up and down the coastline. Those hallmarks are conveyed through a swath of contemporary product and distinct signature boutiques. Trina’s own archive of vintage modernist jewelry triggered the innovation to replace the prosaic metal rings long a bikini staple with hardware flavored by her favorite period pieces—a move that not only caught on with devotees, but the entire swimwear industry which dove in after her lead. 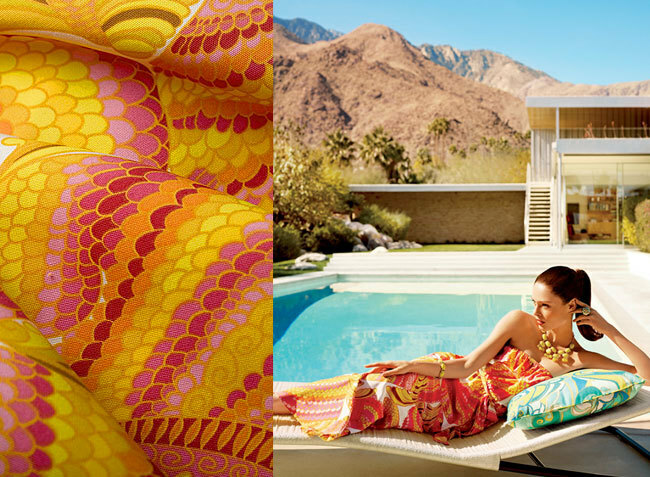 It’s one facet of a carefree glamour the Trina Turk brand defined early on that continues to inspire followers and fans alike. Trina opened her first retail boutique in Palm Springs in 2002 and has since expanded to seven boutiques including Los Angeles, New York, Fashion Island in Newport Beach, Burlingame, Bal Harbour Shops in Miami, and her newest store in Dallas’ Highland Park Village, which opened in 2011. The company has also operated a seasonal store in East Hampton since 2009. Trina Turk is both inspired by and represents the lifestyle of California: optimistic, progressive, accessible, effortless, colorful, and confident. Her ready-to-wear, accessory, and home collections are influenced by her love of 1960s and '70s vintage apparel and jewelry as well as modernist and graphic art, and mid-century modern architecture. Turk is widely known for her use of dynamic colors and signature prints, including bright floral, bold graphics and vintage inspired jacquards.